Rights to Albert Einstein's estate are held -- and closely guarded -- by Hebrew University of Jerusalem. It doesn’t take a rocket scientist to know that you can’t simply use a celebrity’s image without authorization – even if that superstar was, indeed, a scientist who has been dead for more than half a century. The Hebrew University of Jerusalem has filed suit against General Motors accusing the automaker of making fraudulent use of the image of Albert Einstein. The legenday scientist willed his intellectual property and publicity rights to the Israeli school before he passed away, in 1955, at the age of 76. The suit by Hebrew University was filed in U.S. District Court in California, and seeks damages in excess of $75,000. The school is known for its aggressive pursuit of alleged copyright infringements. Though Einstein was not known as a particularly material man, his likeness has proved a gold mine for the school, which reportedly earned $10 million on the rights to the likeness of the author of the theory of relativity, last year. 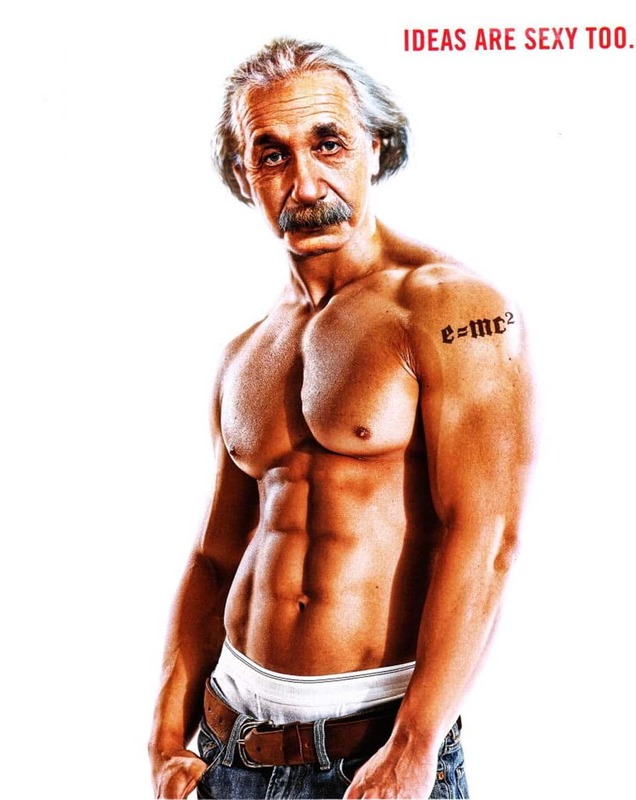 According to Forbes magazine, Einstein ranks ninth on the list of the Top 10 dead celebrities when it comes to annual earnings, just behind Dr. Seuss, at $15 million, but ahead of widely-publisher author Michael Crichton, at $9 million. For its part, GM claims it acquired the rights to the Einstein image from a “reputable firm” that it is not identifying. The ad ran just once, in the September 2009 People magazine issue celebrating “the sexiest man alive.” The ad was produced by GMC’s agency, Leo Burnett. This entry was posted on Thursday, May 27th, 2010 at and is filed under Automobiles. You can follow any responses to this entry through the RSS 2.0 feed. Both comments and pings are currently closed.